The rapid growth in the building and construction sector across the world is found to continually increase the electrical applications over the years driving demand for aluminium products like rod, wire, cable, and conductor. 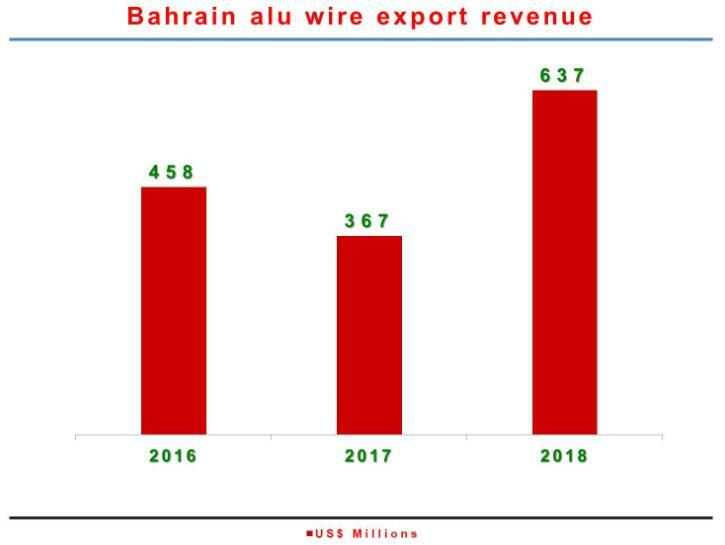 Among some of the major aluminium wire producing and exporting countries, Bahrain is a notable one that has been witnessing a growth in aluminium wires market over a period of time. The country houses Aluminium Bahrain (Alba), the oldest and the most profitable aluminium producer in the Middle East and a number of aluminium wire and cable manufacturers that export their products around the world. Here we are analysing the export data of aluminium wires by Bahrain over the past three years. 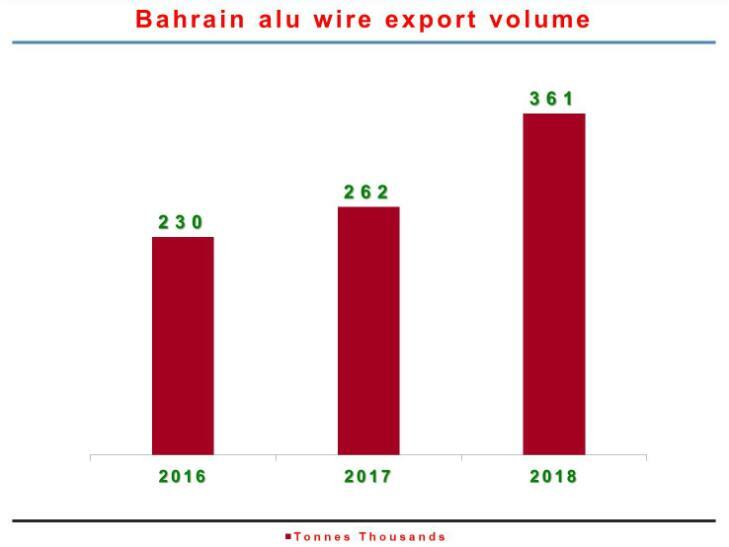 According to the international export-import data, the estimated volume of aluminium wire export by Bahrain in 2016 was around 230,711 tonnes while in 2017, the estimated export volume was at 262,473 tonnes, up by 14 per cent. This volume is expected to grow further is 2018, according to the data, to stand at 361,261 tonnes, up 36 per cent from 2016 and 27 per cent from 2017. Midal Cables Ltd. and Universal Wire are the two major aluminium wire producing companies in Bahrain. The country exported most of its domestically produced aluminium wires to Egypt (71989 tonnes), Saudi Arabia (70430 tonnes), USA (30445 tonnes), and Morocco (4712.14 tonnes) in 2017.